The team at AV Distributors consists of a mixed variety of individuals with various skills in AV. We feel our team works great as a unit and drive sales and support for our brands across Australia. Our support guys, even our sales guys, are not shy to jump in and lend a hand if needed and have assisted many of our integration partners in the configuration, setup and installation and programming of our solutions into various environments. With the detailed skills we possess and the experiences in the AV space that we have had, this makes us a perfect partner to deal with. Justin has been involved in the AV industry for over 20 Years and has extensive experience from project design through to integration of small & large scale AV Projects. Justin is our specialist Infrastructure Products Manager who thrives on managing all the new technologies. He has been with AVD for many years, so you can fully rely on his expertise to guide you on choosing the correct products for your individual applications. Justin is based in Queensland, and travels Australia & New Zealand extensively – he has heaps of air miles. 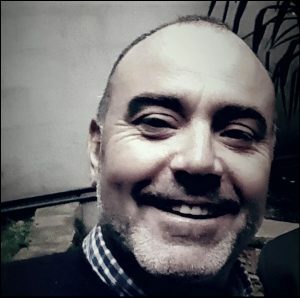 Fabricio Migliano (aka fabulous FAB) has been managing clients, relationships & technology for over 15 years. His focus has always been to find great results for his customers and build business relationships based on honest communication and advice. Understanding each customer’s business and connecting industry experts to robust, cost-effective and sustainable solutions, are his everyday goals. 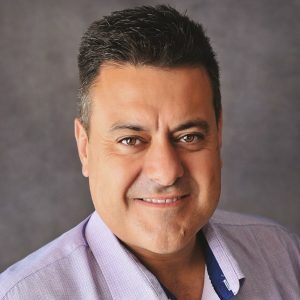 Mario is our NSW/ACT Business Development Manager. He brings with him over 25 years of expertise in the information technology and audiovisual industries. Having worked with some of the biggest companies in the game, he comes with a wealth of experience and is dedicated to providing exceptional customer service and complete end to end solutions. Mario is exceptionally well organised and can make seriously good Italian food too. With over 10 years’ experience with residential and commercial AV equipment, Paul brings a wealth of expertise to his role. Working across a variety of industries including Government, Commercial and Private enterprise, Paul’s strengths lie in his ability to listen and understand the client’s needs, to ensure the most appropriate AV solution can be presented, and the best result achieved. He also has a seriously dry sense of humour. 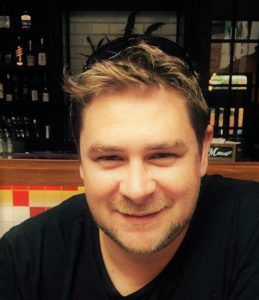 Craig joined AVD New Zealand at the beginning of 2017 as the Business Development Manager for New Zealand. 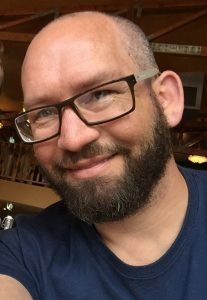 Craig has over twenty years’ professional experience in the audiovisual staging field, so he comes with the practical know-how and understanding of all the latest technologies (not to mention, the ability to think laterally). He is based in Auckland, and services all of New Zealand’s territories – he is also a die-hard All Blacks supporter.